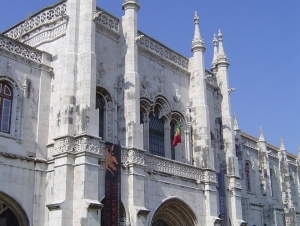 “This internship is an amazing experience,” reported Laura Anzalone, a graduate student who is interning at the Museu Nacional de Arqueologia in Lisbon, Portugal. She is helping to create a database of objects from Bautus, an archaeological site. Anzalone is also assisting at the Geology Museum in Lisbon, and she couldn’t be happier. “It’s so exciting to be part of the life of a museum,” she said. “Doctoral students are conducting research, conservationists are reconstructing old vessels, and curators are creating new exhibits for the public.” She applied to SUNY Buffalo State’s master’s program in museum studies after graduating from the University at Buffalo, where she pursued her passion for Mediterranean archaeology by studying both anthropology and the classics. The museum studies program offers three tracks: collections management and curatorial practice; museum operations; and visitor experience and education. “We’re flexible enough to accommodate students’ different backgrounds and goals,” said Cynthia Conides, associate professor of history and social studies education and museum studies program coordinator. “We get a lot of inquiries from all over the world.” Alumni include students from Taiwan and Wales. The program is meeting a demand not just from students but from institutions. Students have interned at the Albright-Knox Art Gallery, the Burchfield Penney Art Center, the Buffalo and Erie County Historical Society, and the Science Museum. Many alumni have taken positions with these institutions; others are playing pivotal roles at small but growing museums, such as the Steel Plant Museum of Western New York, and at major institutions including the Smithsonian Institution in Washington, D.C.
Students’ backgrounds include archaeology, chemistry, fine arts, and history. Master’s theses have researched topics such as analyses of museum visitors, Leonardo da Vinci’s two “Virgin of the Rocks” paintings, and the issue of returning artifacts to their country of origin.